You don’t have to wait for the future, it’s already here — it’s just a plane ride away. If you’ve been with us for a while you know we’ve always been bullish about China. 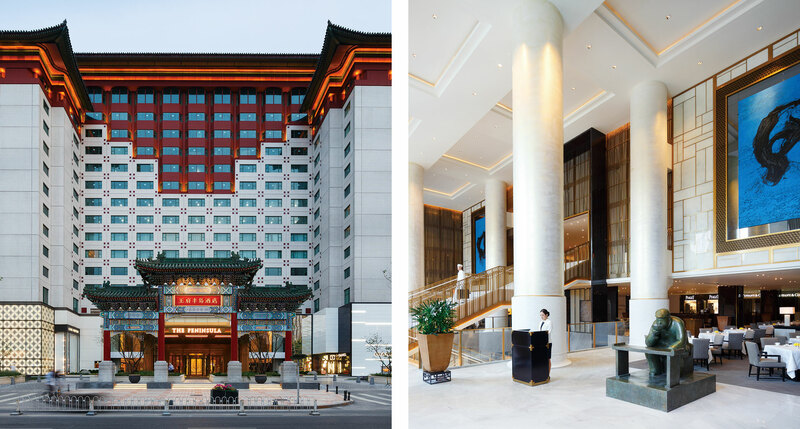 Partly it’s a recognition of certain large-scale trends in business and economics, but partly it’s pure selfishness: the boom in Chinese business has ushered in a corresponding boom in Chinese hotels, and the results are unlike anything else. 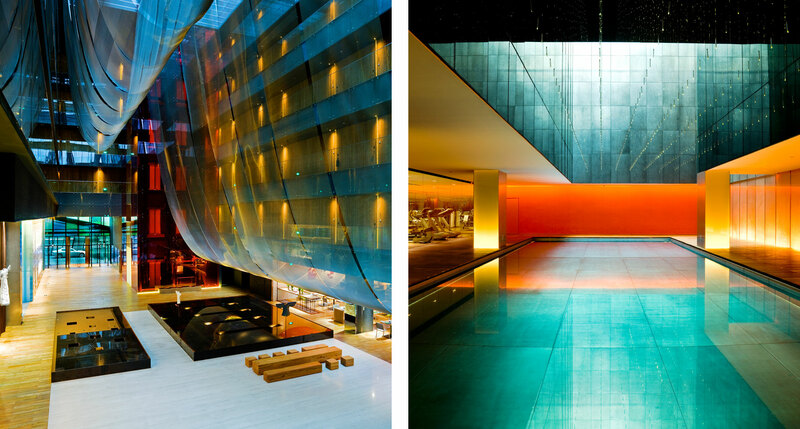 Read on for a look at some of the world’s most extravagant hotels…. The Lalu Qingdao is the first mainland venture from the Taiwanese group responsible for the phenomenal Sun Moon Lake hotel, and it’s rather more than just a toe in the water — this place, designed by Kerry Hill, the architect responsible for so many of Asia’s best high-end hotels, verges on the monumental, and the location, just across the bay from the city of Qingdao, is positively otherworldly. 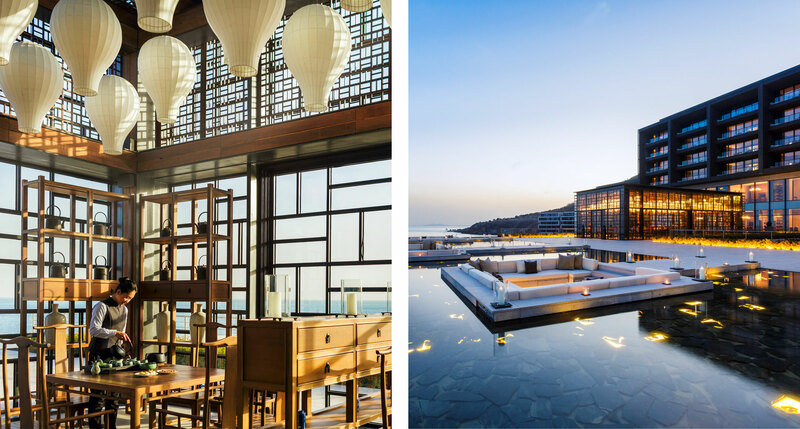 Sometimes the most extraordinary hotels feel almost gratuitous, and Hotel Wind Xiamen is one of these; a sprawling luxury complex in Xiamen could probably get by just fine with safe, inoffensive architecture, but Hotel Wind pulls out all the stops, and the result is thoroughly modern and exquisitely crafted to reflect its particular landscape. There are a couple of dozen Park Hyatts in the world, and to massively understate the case: they’re not bad. 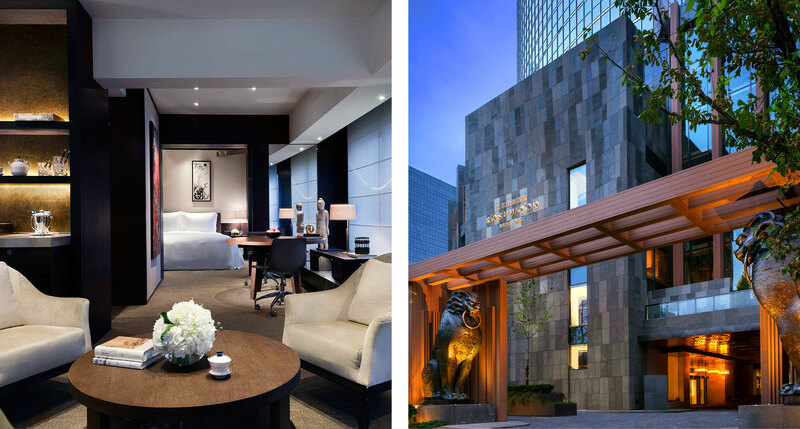 The Park Hyatt Ningbo is one of the most impressive, however, a veritable luxury village on the shores of Dong Qian Lake, which plays the role of Lake Tahoe to Shanghai’s San Francisco. Only more so, as everything in China operates on a much larger scale…. Himalayas here refers not to the mountain range but to a massive mixed-use development in Shanghai’s Pudong district. The visual language is decidedly unsubtle, but Jumeirah, perhaps best known for Dubai’s over-the-top Burj Al Arab, rises to the occasion with another of the most opulent hotels we’ve ever seen. Dress to impress — or upgrade your wardrobe upon arrival in the high-end shops of the Himalayas Center. 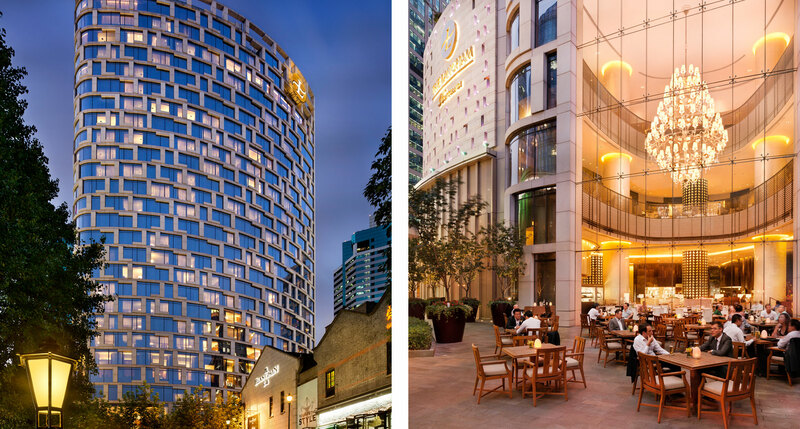 High above the low-slung neighborhood of Xintiandi stands the mirrored-glass monolith that is the Langham Shanghai Xintiandi, complete with a towering atrium dominated by a massive chandelier. The rooms are top-shelf when it comes to luxury but they’re not without personality — their curving floor plans lend a certain space-age edge to the décor, and it’s accentuated by some well-chosen mid-century modern furniture. 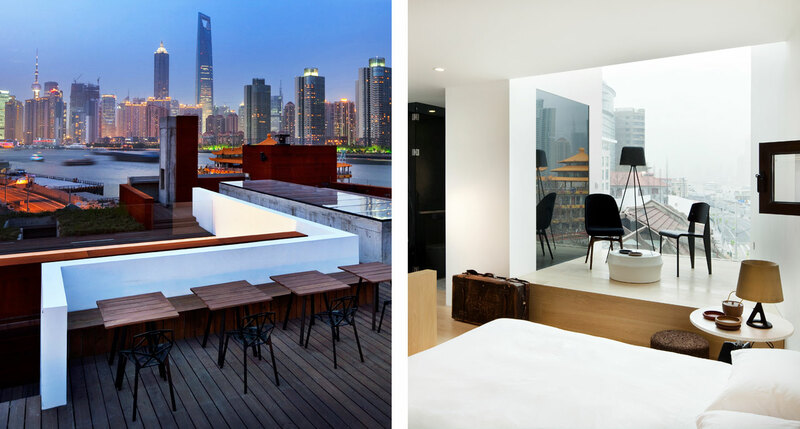 Along with hyper-luxe business hotels, China is home to some next-level experiments in boutique-hotel design. The Singaporean hotelier Loh Lik Peng, a longtime Tablet favorite, collaborated here with Shanghai-based designers Lyndon Neri and Rossana Hu, and the result is something extraordinary — the rich textures of salvaged materials contrast with classic contemporary design furniture, and every angle offers something new. 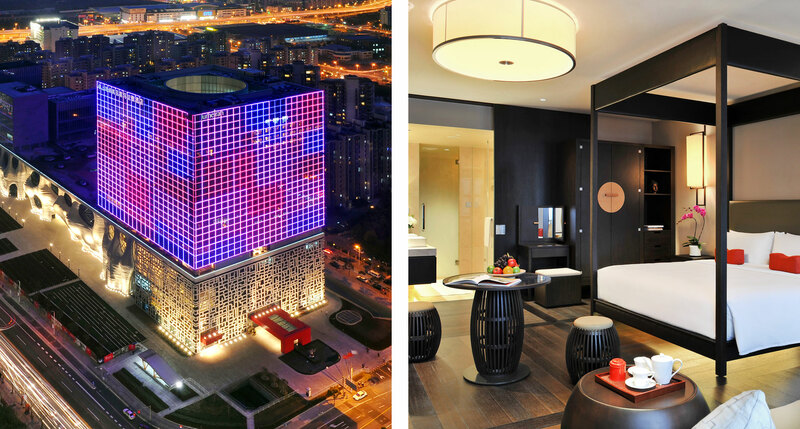 Peninsula hotels are no shrinking violets in general, but the Peninsula Beijing goes above and beyond. You know we put little stock in star ratings, but if “five-star” simply means that all conceivable amenities are accounted for, then this may as well be a six-star hotel. This is one of the most luxurious hotel experiences to be had anywhere — yet the feeling of luxury, somehow, never crosses over into excess. Not content to be merely a hotel, the Rosewood Beijing styles itself an “urban village” — and as you pass through its doors you’re transported from the busy Chaoyang business district to a profusion of tranquil, art-filled public spaces, and finally to your large-to-enormous residential-style room or suite. It’s a fine village indeed when every dwelling comes with 600-thread Frette linens and Lorenzo Villoresi bath products. 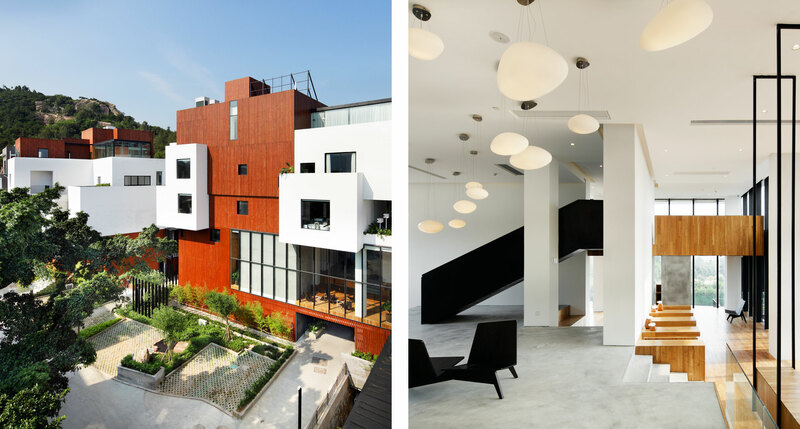 It’s not the first time we’ve featured the Opposite House in these pages, but Kengo Kuma’s green glass masterpiece, with its soaring central atrium and richly textured interiors, is always worth revisiting. 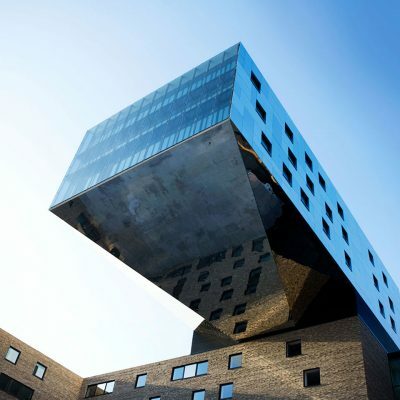 Several years on it’s still the standard-bearer for exactly the sort of ambitious conception — and confident execution — that defines the hotels in this collection. 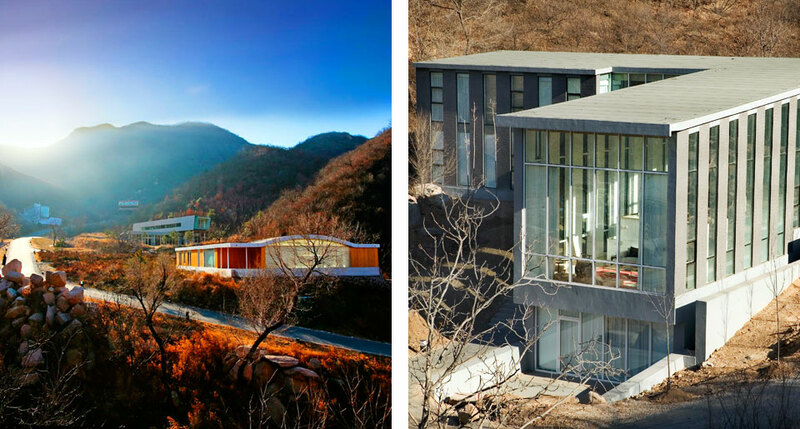 Speaking of pulling out all the stops — the Commune by the Great Wall is most often described as an architectural museum, a live-in design exhibition, created by a veritable who’s-who of contemporary architects and designers. 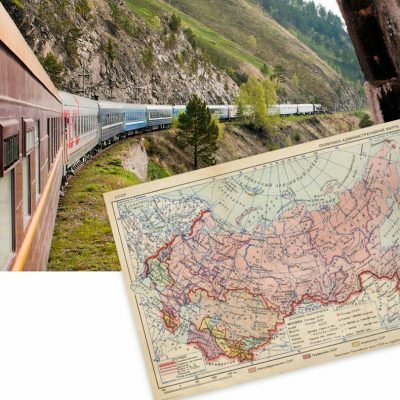 Oh, and it just happens to be set in the rugged Chinese countryside, through which runs no less a man-made wonder than the Great Wall itself. Want to see more? 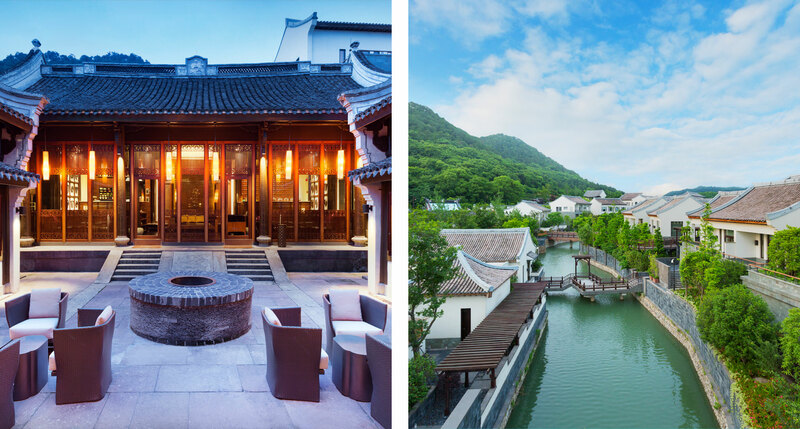 Check out our full collection of the best luxury and boutique hotels in China.